From the Strip - Drive West on Sahara to Decatur Ave. - turn right, drive (five-ten minutes) until you see Arizona Charlie's on the left. 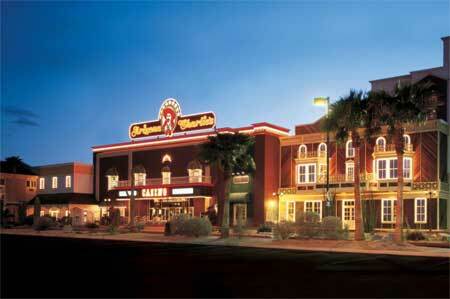 Arizona Charlie's Decatur is located off the busy strip in a friendly neighborhood with a shopping center & mall nearby. 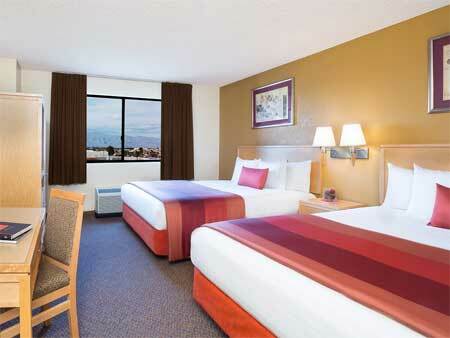 The hotel offers 258 guest rooms decorated with a beautiful Northwest theme with special amenities available upon request. 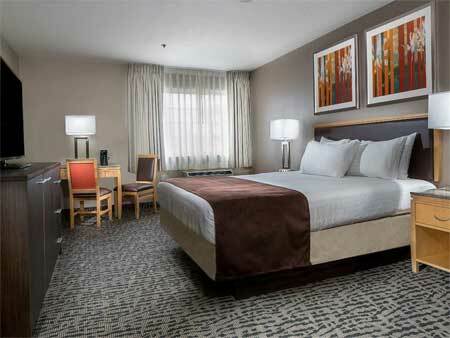 Smoking and non-smoking rooms are available, as are accessible rooms equipped for guests with special needs. This room in our Klondike Tower comes with one king bed, crisp triple sheet bedding, a reading chair, a flat screen TV, coffee maker, and small refrigerator. • In-Room WiFi Access • Iron & Ironing Board • Hair Dryer • Tub & Shower Combo • Telephone • Coffee Maker • Small Refrigerator • Flat Screen Television Smoking and Non-Smoking requests subject to availability at the time of check-in. Located in our Klondike Tower, this room allows for easy access to the casino floor, restaurants, bars and lounges as well as our seasonal pool. This room in our Klondike Tower comes with crisp triple sheet bedding on two queen beds, a flat screen TV, coffee maker, and small refrigerator. • In-Room WiFi Access • Iron & Ironing Board • Hair Dryer • Tub & Shower Combo • Telephone • Coffee Maker • Small Refrigerator • Flat Screen Television Smoking and Non-Smoking requests subject to availability at the time of check-in. Our newly remodeled Deluxe Guest Room in the Meadows Tower includes all of the traditional amenities, plus an in-room safe and large flat screen television for added comfort and convenience. The Meadows Deluxe King Room offers one king bed, a reading chair, all modern new furnishings, upgraded bathroom for added comfort. The Meadows Tower allows for easy access to the casino floor, restaurants, bars and lounges as well as our seasonal pool. Smoking and Non-Smoking requests are subject to availability at the time of check-in. We offer dining discounts for all ace | PLAY™ members. "Enjoy all your favorite American and international dishes in a fresh and fun San Francisco-themed atmosphere at the Charlie's Market Buffet . Succulent seafood, mouth-watering pastas, juicy prime rib, fresh salads, scrumptious desserts and much, much more! Open for breakfast, lunch and dinner." 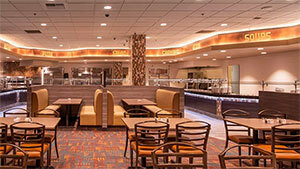 "The newly remodeled Charlie’s Market Buffet is proud to offer you variety and value with every visit. 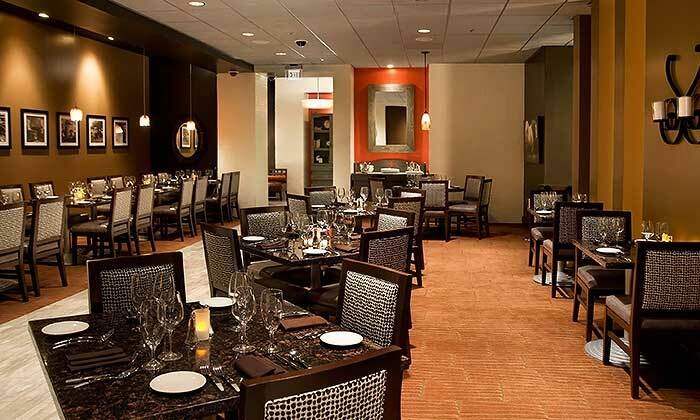 Our delicious buffet menu features American & International cuisine including a carving station with mouthwatering meats, succulent seafood, tasty pastas, fresh salads and delectable desserts. The buffet also features specialty steak nights every Friday & Saturday in addition to custom menus for holidays throughout the year." All ace | PLAY [TM] members can enjoy two buffets for the price of one every Tuesday! *PLAY card, a 25% discount off our regular price for ace | PLAY orange, green and red members and 10% discount off our regular price for ace | PLAY blue members. Simply present your ID to the buffet cashier for senior pricing. Additional ace | PLAY savings. The Sourdough Cafe is a cozy restaurant with great specials. Hours of Operation: Open 7 Days a Week 24 Hours a Day. "The Sourdough Café serves family-style, oversized portions and other great selections 24 hours a day, with some of the best deals in town. Our breakfast specials with sirloin steak & eggs or ham-steak & eggs, has been voted Las Vegas' "Best Breakfast Special," by the Las Vegas Review-Journal." Ron's Steakhouse at Arizona Charlie’s Decatur, "winner of OpenTable Diners' Choice Award, offers a variety of fine cuts of beef and succulent seafood in an upscale, yet genuine atmosphere. Players are welcome to use points and comp dollars to pay for their meal." "Welcome to Arizona Charlie's Decatur! 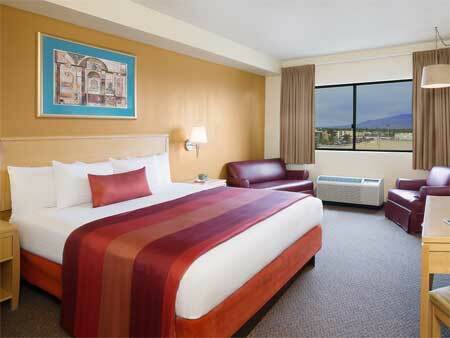 We're one of the top local casinos in Las Vegas. 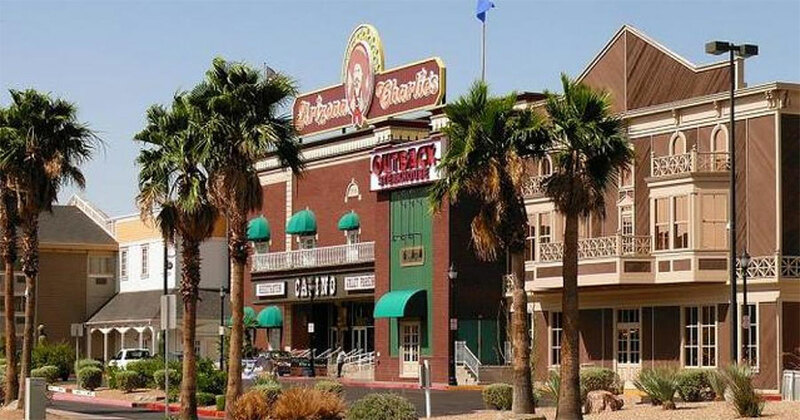 Featuring over 1,290 ticket-in/ticket-out slot, video poker and Keno machines and a wide variety of table games, Arizona Charlie's Decatur offers some of the best gaming choices in town. 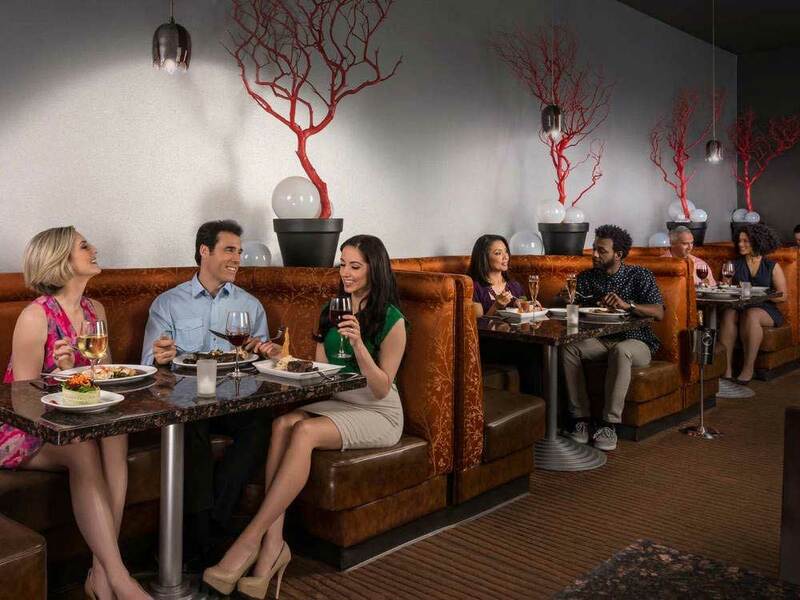 We also have an exciting, full-service Race & Sportsbook. 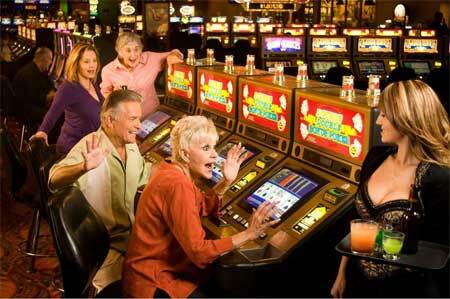 Plus, we are the only casino in Las Vegas to host a 24-hour bingo parlour! No one in town can match that! And don't forget to cash your paycheck with us and try your luck at our exciting Paycheck Poker game."